There are countless tools and resources on the internet that can help you make the difference and stand out in your blogging business. Whether you are a greenhorn or a mature blogger, if you carefully deploy the right tools, you will find your blogging efforts skyrocketing. To crown it all, a good percentage of these tools can be accessed online, downloaded to your computer or installed on your site. Below are 200+ of these tools with a brief description of each one. Are you ready to give your blog the push it needs to soar in 2018? Here lies the power. Full Disclosure: This post contains affiliate links, which means that if you purchase or sign-up with one of the services, we may receive a commission. There is no additional cost to you. In fact, you might actually get a discount with some of the services/products. This affiliate relationship in no way has affected the structure of this post nor the items included. Are you thinking of earning real money with your blog? Affiliate marketing is probably the most popular and profitable way to generate income. Promote products and services of other companies and get a commission for each and every sale. Simply register with any of the following platforms, choose the most relevant advertisers, wait for approval and start promoting. 1. CJ – With 1000s of advertisers, CJ is the most popular affiliate network. Commission Junction is an option you might want to look into if you have serious plans with affiliate marketing. They have a global outlook and also pay above industry rate commissions. CJ’s user interface is very intuitive, so it should not take you more than 5 minutes to get your head around the system. 2. Clickbank – Clickbank is one of the world’s most popular affiliate websites. It is very useful for bloggers that want to make money for promoting other brands’ products. Simply find a product to promote, create a customised link, place it on your site and if a customer clicks on your link to buy, you get paid by Clickbank. 3. Rakuten Affiliate Marketing Network – Rakuten (previously known as LinkShare) is a global affiliate marketing network for those who wish to take their affiliate marketing efforts to the next level. Although the backend system isn’t very modern, it does the job well. 4. Share a Sale – ShareASale is another affiliate marketing network that allows you to promote other people’s products and services, and if customers buy products via your link, you are paid a commission. The USP of ShareASale is that they partnered with some exclusive merchants. 5. Amazon Associates – Built and run by world-dominant e-commerce website – Amazon. The program works like most affiliate programs by rewarding you up to 10% commission on selected products. 6. Impact Radius – Although Impact Radius isn’t as widespread as the other 5 affiliate networks we’ve mentioned above, with a couple of well-known partners like Constant Contact and MaxCDN, it is quickly gaining traction. With an incredible, easy to follow user interface, the platform stands a chance of becoming an incredibly successful affiliate network. If you have been a blogger for some time, you’ve probably already experienced or may experience some sort of artistic crisis when it comes to unique blog titles and ideas for your next blog post. Well, with the use of the following tools, you can make your blogging life a bit easier. 7. 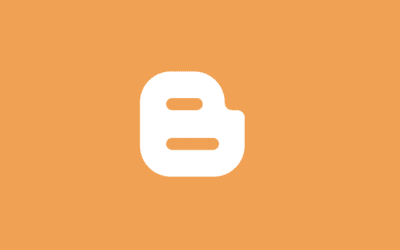 Blogabout by IMPACT – Blogabout is a tool that helps generate blog ideas, titles and concepts. The tool was created by Impact Branding and Design. It gives you access to countless ideas and titles and then returns a surge of thoughts for your content. 8. SEO Pressor Title Generator – SEO processor is a blog title generator. Just type in the keywords along with the category that properly aligns with the focus of your blog, and you will have a series of catchy titles suggested immediately. 9. HubSpot Topic Generator – This topic generator has been built by a marketing giant – HubSpot. The tool only takes three keywords from what you are working on and then gives different variations and ideas for your titles. 10. CoSchedule – This tool is more of a title analyser as opposed to idea generator. 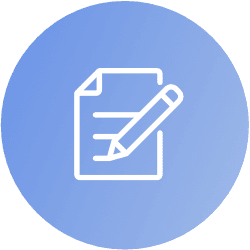 Simply supply a title, fill in all the required information and get a real-time analysis of its strengths and weaknesses along with suggestions and recommendations. 11. Tweak Your Biz Title Generator – Tweak Your Biz is another unique idea generator for blogs. In this case, you simply supply the main idea/topic of your post and the tool will generate a huge list of ideas for different content types (e.g. How-To and List types). You can then download or print the full list. 12. Inbound now – Inbound now is a bit less dynamic than many of the earlier stated idea generators, but it does give some generic ideas and directions on how to craft great topics and titles that could get viral online. 13. Cool Name Ideas – This tool is slightly different from the ones above. Cool Name Ideas helps you generate cool and unique names for your business. Simply supply words that best describe what your business does, add a relevant subject and preferred suffixes. The tool will return a list of relevant domain names. If you have been a blogger for a while, due to time constraints, multi-tasking becomes a necessity. What could get more annoying than jumping off and on different tabs & windows? This section focuses on handy Google Chrome extensions that will save you a tremendous amount of time and make your blogging life much easier. 14. Eye Dropper – Eye Dropper is a free tool available for Google Chrome, which gives you the ability to pick & save colours from any web page and then use them on your own website or any design software by simply copying the HEX code. An incredibly useful tool for web developers & designers. 15. GFY Cat – Gfycat is a tool that you can use to create, share and discover great GIFs. With this tool, it is very easy to convert short videos to GIFs. It creates fast-loading GIFs that you can use on your site or across your social media. 16. 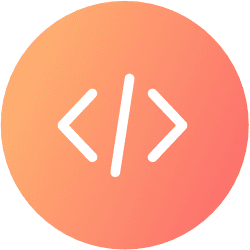 Check My Links – Check My Links is a Google Chrome extension that is designed to help you identify broken links on a particular web page. Exceptionally useful when carrying out SEO & Website audits. Simply enable the extension, and the tool will highlight all the links, either in red (broken links) or in green (working links). 17. Full Page Screen Capture – Want to take a full screenshot of a web page? You can find this to be a daunting task most of the time. But with the full page screen capture chrome extension, it is made very easy for you. Simply open the extension in your browser bar and the tool takes care of the rest for you. 18. Mail Track for Gmail – This extension may seem quite creepy to some of you, but we’re all used to messaging apps like Whatsapp that let you see when your message has been received and read. So, why not have a tool that does the same with your emails? Well, this Chrome extension does just that. Mail track lets you know which emails have been read and how long ago. 19. Pull Quote – Pullquote is a chrome extension that makes sharing of quotes as easy as it can possibly get. It even gives you the opportunity of tweeting full quotes without having to battle with the 140-character limitation on Twitter. 20. 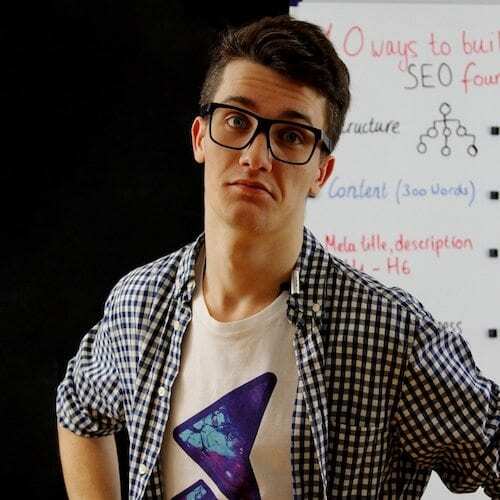 MozBar – A free toolbar by MOZ that allows you to sneak behind the SEO scenes of any website. The tool gives you the ability to see website’s domain authority, link metrics, meta titles, meta descriptions, alt tags, titles, schema implementation, meta robots, canonicalization, keyword analysis and so much more. An absolute must-have for SEO & Digital Marketing professionals. 21. LastPass – For those of you who have 100s of different accounts with different passwords, LastPass is a lifesaver. It saves all of your passwords in a secure and reliable way, thus preventing headaches of remembering all of your passwords. And best of all, it lets you share access with others without revealing your passwords. Although you need to create an account first, you can then download a handy Chrome extension and use it whenever you need it. Every blogger has experienced an artistic crisis, and if you haven’t – you will in the future. The following tools can be used to discover topic ideas for your future articles and get some valuable insights as to what people are searching and asking for. 22. Quora – Apart from being the largest Q&A engine in the world, Quora is slightly more than just a regular questions & answers platform. It’s more of a social network where you can ask questions, provide answers, earn reviews, follow and be followed, write posts, send private messages and more. Quora is great for brainstorming ideas for your next blog post. 23. BuzzSumo – BuzzSumo is an amazing content discovery & analysis tool that allows identifying trending topics, see what content gets shared the most, view backlinks to a particular page, search for influencers and so much more. Simply enter any website’s URL to get insights of the most shared and best-performing content. 24. Inbound.org – Inbound.org is an inbound marketing community platform for marketing professionals. The platform gives you the ability to ask questions, start & participate in discussions, share content, earn points by answering questions, follow others and more. Great for those of you who are on a look out for content around digital marketing. 25. LinkedIn Pulse – Powered by a multi-billion dollar social network, LinkedIn Pulse is a publishing platform that allows writing and sharing articles with LinkedIn’s audience. Simply register with LinkedIn, click ‘Write an Article’ button and start publishing right away. 26. Medium – Similarly to LinkedIn Pulse, Medium is an independent publishing platform founded by Evan William (Twitter’s Co-Founder). To some extent, Medium can be considered as a separate blogging platform that allows you to write, read and organise information that matters to you the most. There is even a function to import the article you’ve published elsewhere. Some big names in a marketing industry like Gary Vee, Rand Fishkin and Larry Kim republish content on Medium for reaching a broader audience. 27. Feedly – Feedly gathers all of your favourite blogs and publications in one place. Organise your feed by simply subscribing to the blogs you’re interested in or find new blogs by choosing relevant topics. 28. 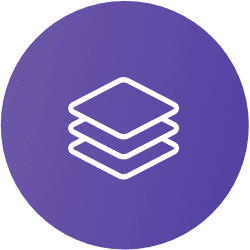 Pocket – Pocket is another content curation tool that allows you to easily arrange your reading plans and gather content all in one place. More so, it helps you to save the stories/articles that fascinate you for a later use. 29. Alltop – Alltop is a collection of content gathered from 1000s of publications & blogs like Fast Company, TechCrunch, Smashing Magazine and Mashable. You can search for articles or jump to a relevant category. Great resource for content marketers & bloggers. 30. HARO – HARO (Help A Reporter Out) is a platform where reporters look for tips from industry experts. If you’re a professional in one of the fields, you can register with HARO to help writers with their content and get cited for your contributions. HARO is a great way of getting mentioned in high-end publications like Forbes, HBR and Inc. Also, you can do both: provide tips and send queries. Contests and giveaways can be extremely powerful if carried out properly. With a little prize, powerful marketing and precise targeting, a simple contest can generate a massive buzz around your blog, leading to traffic spikes, likes and comments. Following tools provide the right set of features to create memorable, creative and exciting giveaways. 31. Rafflecopter – Rafflecopter makes it extremely easy to set-up, manage and run giveaways on your blog, website or social networks. If you wish to collect emails, you can easily integrate Rafflecopter with popular email providers like MailChimp, AWeber and Get Response. You can also add multiple entry options and assign different point values. 32. WooBox – WooBox is a little more than just a regular contest app. It gives you the ability to create & run photo and video contests, polls, quizzes, general giveaways, coupons and so much more. The tool can be easily integrated with your site or Facebook page. 33. Gleam – Gleam.io is a promo tool that allows you to create and manage contests from a simple, intuitive dashboard. It offers multiple combinations of entry methods and the choice of creating your own custom actions. Gleam is also flexible when it comes to 3rd party integrations. Unfortunately for us – bloggers, the world is too complicated when it comes to file formats & types. Did you know that there are over 25 main video formats as well as tons of image & documents types? They were all designed for different purposes. Guess what? We have you covered! This section lays out tools that will help you with any of your conversions, be it images, videos or documents. 34. Online Video Converter – Apart from converting video and audio to and from over 15 file formats, this tool comes with a unique feature of converting and downloading any YouTube video. Simply enter a YouTube URL, choose a file format and download it to your computer. It also comes with a handy Chrome extension. 35. 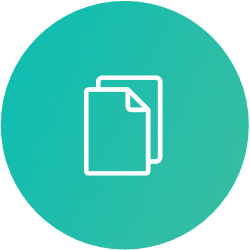 Online Convert – Online convert is the ultimate tool that offers the ability to convert various assets, including Images, Documents, Audio, Video and more. The great thing about this tool is its feature to convert PDFs into editable formats like Word. 36. Freemake – Besides allowing you to convert video files from a variety of platforms like Youtube, it also gives you the ability to edit and customise them for your use. Simply download a relevant converter to your computer and start using it right away. 37. AVC – AVC is a free software that allows converting videos into pretty much any file format as well as downloading videos from popular sites like YouTube, Vimeo and Dailymotion. The tool is currently available for Mac & Windows users. 38. File ZigZag – File ZigZag is an online tool that converts anything from video and audio to images and PDFs. To get started, select your file, choose a format you wish to convert it to, enter your email address and hit ‘convert’. You’re also given the opportunity to use their free cloud storage. 39. NCH Software – NCH Software has a wide range of free tools on offer. You can download anything from simple video & audio converters to dictation, FTP and accounting software. 40. Cool Utils – Coolutils is a web-based tool that specialises in multimedia conversions. With a feature that covers almost every file format, Coolutils is a must-have for bloggers and individuals looking to generate file formats for every imaginable need. Email marketing is a vital component of any digital marketing campaign. Having a healthy list of genuine email subscribers is the biggest asset a blogger can possibly get. But, as with any digital marketing channel, for email marketing to be truly effective, it must be approached carefully and managed properly. Here is a list of the best email marketing providers that will help you thrive in the world of email marketing. 41. Convert Kit – Convert Kit is an email marketing solution specifically designed for professional bloggers and online marketers. It gives you the ability to design, optimise and send tailored messages to your subscribers. You can also automate the process based on the actions users make on your site. Convert Kit is used by some of the most successful bloggers, such as Pat Flynn. Packages start at $29/month for up to 1,000 email subscribers. 42. AWeber – With over 100,000 active clients, AWeber is one of the most popular email marketing providers in the world. With their intuitive drag-and-drop email builder, campaign scheduling, sign-up forms and automation, you can easily bring your email marketing efforts to the next level. Prices start at $19/month. 43. Get Response – Get Response is more than just a regular email marketing software. It is more of an ultimate marketing tool that allows you to design beautiful email campaigns, create convertible landing pages, run webinars and more. With its intuitive drag-and-drop builder, you can start creating campaigns right away. We highly recommend the tool for all, whether you’re a novice blogger or an experienced marketing guru. Prices start at only $15/month. 44. MailChimp – MailChimp is probably the most popular email marketing software among the internet marketing community. With its simple & straightforward user interface, you can create a decent campaign within just a couple of minutes. Best of all, it is free for those who are just starting out and have fewer than 2,000 email subscribers. In fact, we’ve used MailChimp’s email subscription widget on this page. 45. Campaign Monitor – Campaign Monitor is another powerful email marketing software for those who wish to thrive as a blogger. The tool gives you the ability to create personalised campaigns based on the user’s actions. Although their prices start at only $9/month, Campaign Monitor is used by huge brands like Adidas, TopShop and BuzzFeed. 46. Constant Contact – Constant Contact is one of the first movers in the industry of email marketing. With numerous pre-made templates, you can start a campaign within just a few minutes. You can start your free 60-day trial and then it’s $20/month. 47. Email Hunter – Although Email Hunter isn’t quite an email marketing software, it would have been a crime not to mention this awesome tool on this list. Email Hunter is a tool that allows you to find people’s email addresses. Simply enter a domain name and it will provide you with the list of email addresses used by that particular company. Email Hunter comes incredibly handy when conducting email outreach. Although the vast majority of you are definitely familiar with most (if not all) of the following tools, we still want to emphasize the importance of these resources when it comes to blogging and getting your work done with ease and in time. 48. WordPress – WordPress is (arguably) the most popular and powerful open source platform for creating beautiful websites & blogs. Even though it is relatively easy to use, it has been certified as one of the most powerful content management systems in existence today. If you’re keen on taking blogging seriously, WordPress is the way to go. 50. Google Drive – Google Drive is an online cloud storage facility created by Google. While we have a lot of cloud storage services around, very few of them are as trustworthy as Google Drive and even fewer of them give you free 15GB of storage. G Drive allows you to store & share files, videos, documents, images and more. 51. Keynote – Keynote is a presentation tool brought to life by Apple. It comes with very powerful tools and dazzling effects that will surely make your presentations more enjoyable. It also allows you to work together with your colleagues in real time. 52. DropBox – Dropbox is a cloud storage app that offers you a simple way of storing, sharing and backing up your files on any device. It is a simple yet a reliable file syncing and cloud storage service that supports real-time document collaboration online. 53. Prezi – Prezi prides itself as presentation software that uses motion, spatial relationships and zooms to bring your ideas to life. It provides an array of templates that can be used by its users. 54. Microsoft Office – Everybody knows Microsoft Office. Everyone used at least one of their products in a lifetime. From Word and Excel to OneDrive and Sway, Microsoft Office is an invaluable set of tools that every blogger should utilise. 55. Google Docs – Google Docs is a free online writing tool that gives you the ability to create documents, resumes, proposals, reports and pretty much anything you can think of. Similarly to Word, it is filled with powerful writing & editing features. 56. Google Sheets – Google Sheets is another ground-breaking service from Google that allows you to create and edit spreadsheets online. This impressive tool allows you to collaborate with your colleagues by allowing everyone to work together on the same spreadsheet. With a set of pre-made functions & formulas, you can easily create a fully functioning spreadsheet. 57. PayPal – PayPal is a revolutionary money transferring platform that enables you to receive & send payments online in a secure and reliable way. You would see PayPal integrated on almost all e-commerce websites, and you can, too. Over the years, PayPal has built a massive trust and reputation across the world that any bank would envy. This section is all about helping you getting blogging fundamentals right. As you know, it’s compulsory to have a domain name & hosting for your website to appear on the web and have a fully functioning blog. Moreover, it’s not just all about signing-up with the first host that crosses your mind. It’s vital to have a decent website hosting provider that can offer a secure, performance-driven, reliable and scalable solution for your needs. Otherwise, you will struggle convincing people to stay on your site. Furthermore, if you already own a blog, but wish to take your performance even further, we’ve included a number of well-known, trusted and reliable CDNs (Content Delivery Networks) on this list. Check out below. 58. Siteground – We use Siteground on this website, and it is an amazing hosting solution with appropriate packages for both, small and large websites. With their 1-click WordPress installation, you can get your website up and running in 5 minutes. Not only they offer a secure, affordable, fast and reliable service, but also offer handy perks like free domain registration & SSL certificate. Use our link and get your hosting as low as $3.95/month (£2.75/month). 59. BlueHost – Bluehost is one of the largest & most reputable web hosting providers on the market. They power over 2 million websites. Apart from providing a reliable and secure service, Bluehost offers competitive pricing packages (starting at $3.95/month), as well as free domain registration & 24/7 support. 60. Hostgator – Hostgator is another decent web hosting solution that offers plans for all: small, medium and large websites. They use the latest software & hardware to provide an impressive uptime of 99.9%, 1-click WordPress installation and offer 24/7/365 technical support. An ideal solution for those looking for a reliable yet affordable solution. 61. WPEngine – WP Engine is a premium WordPress hosting solution that can scale to your needs, whether you are a small business owner or a popular online publication. WP Engine puts in a lot of effort into security, reliability, website speed and performance, as well as offering a superb customer support. Although their prices start at $29/month, huge organisations like Rightmove, Network Rail and Cancer Research trust them. Why shouldn’t you? 62. KeyCDN – KeyCDN is a reliable Content Delivery Network that helps you to accelerate the delivery of your static web content, making your site fast and accessible from any part of the world. We use KeyCDN on our site, and find it extremely powerful and easy to use. You can create a ‘pull zone’ in a matter of 10 minutes and speed up your site drastically. Use our link to get $10 in credits when you sign-up. 63. MaxCDN – MaxCDN is a powerful Content Delivery Network that gained massive worldwide trust and recognition. The world’s most famous sites like The Next Web, 9GAG and Stumble Upon use MaxCDN to deliver the content to their global audiences. Recently acquired by the famous CDN provider StackPath, MaxCDN is only projected to grow and improve. 64. Incapsula – Incapsula is more than just a regular Content Delivery Network. While it offers a powerful CDN to boost your site’s performance, it also acts as a security shield that protects your site from DDOS attacks and brutal hackers. Brands like MOZ, Zillow, Siemens and Wix use Incapsula to power up their platforms. 65. CloudFlare – CloudFlare is probably the best-known CDN among the ones we’ve mentioned above. They have a free yet limited plan for small websites and offer more features with their paid plans. CloudFlare is used and trusted by companies like Salesforce, NASDAQ, Digital Ocean and Cisco. 66. NameCheap – Every website starts with a domain name, and the process of choosing one can often get overwhelming. NameCheap is one of the best and most affordable domain registrars in the world. Simply input your preferred domain name, and it will tell you whether it’s available for purchase. If the domain name you’ve searched for is already taken, NameCheap will give you a list of alternatives. 67. 1&1 – 1&1 is the industry’s veteran when it comes to domain names and hosting. They offer one of the best deals on the market. You can get your domain name for as low as $0.99 for the first year and set-up WordPress hosting for a tiny fee of $0.99/month. 69. NameMesh – Name Mesh is a great tool that you can use to research the domain name that you plan on buying. Most times we have a perfect domain name idea but get disappointed when we find out that it’s already taken. Name Mesh helps you find the perfect domain name for your website. Having quality images on your site is an absolute necessity when it comes to conversion rates and user satisfaction. Although virtually anyone can find and download a quality stock image of 10MB in size, you also have to think about website performance and speed. Large images can easily damage the load speed of your site and drain your bandwidth. 70. TinyPNG – Tiny PNG uses “lossy compression techniques” to carefully reduce the size of your picture files and optimise them for use on your site. According to the creator, this unique technology ensures that little or no difference is noted on the picture after. It also supports bulk optimisation. So, simply drag-and-drop up to 20 images and the tool will optimise all of them in one go. 72. Compressor.io – Compressor.io is another handy image optimisation tool that is capable of reducing the file size by up to 90% without losing the quality. Although the tool does not support bulk optimisation, you can simply drag the image and get it optimised in real time. 73. Optimizilla – Optimizilla is another bulk image optimiser that allows dragging-and-dropping multiple images at once. But it’s not over yet. After, the tool returns optimised image(s), you can tweak colour levels to reduce the file size even further. 74. Imagify – Imagify is one of the best image optimisation & resizing tools available on the market. They provide a handy WordPress plugin that optimises images automatically when you upload them to your media library. Although it’s not free, we use the plugin on a daily basis and find it extremely helpful. 75. Smush Image Compression and Optimization – SmushIt is another WordPress image optimisation plugin that allows you to scale down your images without losing quality. You can set a maximum height and width and then watch your image amend. 76. Imsanity – Imsanity is an incredibly useful plugin for those who run multi-author websites and accept direct post submissions. The tool automatically resizes huge images once they get uploaded. Keyword research is one of the key elements of Search Engine Optimisation. In order for your site to rank well, drive traffic and generate conversions, you should be targeting relevant keywords right from the beginning. But how do you find those ‘perfect’ keywords that are not over-competitive, relevant and have high search volume? Well, there is a bit of research to do, that’s for sure. This section is dedicated to the best tools that will help you find the most relevant, powerful and effective keywords to target. 77. SEMRush – Although SEMRush is much more than just a keyword research tool, it provides some invaluable keywords data. Simply enter a keyword you want to analyse and the tool will return the search volume, suggested cost-per-click, competition level, keyword trend data, related keywords, ad examples and much more. 78. LongTail Pro – LongTail Pro gives you the ability to identify the most profitable keywords for your website, determine keyword difficulty and competitiveness, view monthly search volume, analyse result pages and search for new keyword ideas. 79. KWFinder – Similarly to SEMRush, KWFinder provides some insightful information about the keywords you’re planning to target. Input any keyword and the tool will return a list of suggested keywords along with a trend, search volume, suggested cost-per-click and difficulty score for each one. 80. Moz Keyword Explorer – Moz’s Keyword Explorer is one of our favourite tools for analysing keywords. The data it returns is exceptionally precise and accurate. Simply enter the keyword you wish to analyse, select the country and the tool will return a search volume, difficulty, opportunity and potential score, keyword suggestions, SERP analysis and mentions of that specific keyword. You can also organise your keywords into unique lists and export them at any time. 81. Google Adwords Keyword Planner – Not as useful as it once was, Adwords Keyword Planner still remains an incredibly valuable tool when it comes to keyword targeting. At the end of the day, the data is officially coming from Google themselves. There is one pitfall, though. You have to have an active campaign with a ‘healthy’ budget to view accurate information, otherwise, the tool will return very raw search volumes (e.g. 10,000 – 100,000). 82. LSI Graph – Great tool for finding semantic keywords. In essence, the tool returns a list of related keywords which you can use in your post to vary your keyword usage. This can improve the readability of your content as well as search rankings. Landing pages play a significant role when it comes to conversions, user satisfaction and traffic. If your pages are not built for users, you will have difficulties converting them into paying customers. Hence, whatever you’re launching, be it a new e-book, course or a new service page, creating convertible pages is an absolute necessity for your website to make money. This list outlines the list of the best landing page optimisation tools that you can use to turn your traffic into real cash. 83. Instapage – With over 250,000 active clients, Instapage is one of the most powerful landing page builders in the industry. With its intuitive drag-and-drop visual builder, numerous features and integration options, you can easily create attractive, convertible and mobile-friendly pages and get them published on your WordPress site within a couple of minutes. 84. LeadPages – Leadpages is another advanced landing page builder that is capable of turning your traffic into buying customers. They have over 350 unique, beautifully designed templates that you can customise and tailor to your needs. You can also add opt-in boxes to capture emails. Best of all, it works on both, WordPress and non-Wordpress websites. 85. Unbounce – With Unbounce, you can build flexible, fast and easy-to-use landing pages that enhance browsing experience and increase your conversions. Unbounce provides a full slate of features, such as A/B testing, lightboxes, lead generation tools and integration with popular email marketing providers. 86. Optimizely – Optimizely helps you to tailor goods and products to meet your customers’ desires and create personal digital experiences for your visitors. Optimizely is used by some of the biggest brands in the world like Sony, Ebay, Ehow, ABC and so forth. 87. KingSumo Headlines – Although KingSumo is not quite a landing page builder, it’s an insanely powerful WordPress plugin for A/B testing your headlines and identifying titles that perform the best. Live Streaming is quickly bending the boundaries of social media marketing and the way people interact on social platforms. With influencers like Gary Vee making use of live streaming on a daily basis, the ‘social’ eyes are now shifting towards live interactions. Hence, before these platforms get over-crowded, it may be worthwhile to think about deploying them into your strategy. 88. YouTube Live – This video giant gives you the ability to live stream videos and organise events. Simply go to your ‘video manager’, click on ‘live streaming’ and choose an appropriate option. 89. Skype Group Calls – Probably every single one of you is familiar with Skype, but not everyone is aware of group calls. The tool can host up to 25 people and is particularly useful for team group calls, small webinars and workshops. 90. Ustream – Ustream is a large live streaming company owned by IBM. It powers over 2 million live broadcasts per month and is trusted by the biggest organisations in the world, such as NASA, Facebook and LinkedIn. So, if you have a massive audience, Ustream could be your best option. The plans are quite costly, though. You should be prepared to pay at least $99/month. 91. Google+ Hangouts – Google hangouts is a video call service by Google that allows you to call, text and arrange group video calls with your friends and colleagues. You can either choose to have a one-on-one call or create a group video call for up to 10 participants. 92. GoToWebinar – GoToWebinar (by GoToMeeting) is one of the most well-known webinar software available in the marketing community. The service enables you to run e-meetings, video conferences and webinars. GoToWebinar is rated as one of the best webinar services for its features and reliability. 93. Facebook & Instagram Live – Facebook and Instagram live work in the same way; they allow you to run live, real-time videos and share them with your friends and followers. Big brands use this avenue to reach out to prospective customers. Facebook and Instagram Live give an option of real-time commenting to help you get instant feedback from your followers. 94. Periscope – Periscope is a live video app developed by Twitter. It allows you to go live at anytime and share your video in real-time with your followers. The app is currently available for iOS and Android users. If you’re planning to become a serious blogger one day or perhaps you’re already one foot into blogging business, you should know one thing. Blogging is an extremely time-consuming, exhausting and hard job. Those who say blogging is no more than a hobby are delusional. In order to become a successful blogger, you should be prepared to put in 80-100 hours a week. Yes, that’s at least 12-14 hours/day. That said, you’ll never be able to do everything on your own. You may not have the required expertise, experience or simply the time for specific tasks. That’s the primary reason why outsourcing platforms exist – they help you achieve more in less time. The following list is dedicated to the best outsourcing websites where you can find talented freelancers to help you achieve your needs. 95. People Per Hour – PPH is the UK’s leading freelancing platform. You can find a professional freelancer in any given field, be it bookkeeping, design, proofreading or digital marketing. You can either purchase an “hourlie” (a fixed price package) or create a new project if you have special requirements. We find PPH particularly useful for administrative and design tasks. Use our link to get a £20 (~$25) voucher when you start your first project. 96. ContentMart – ContentMart is a platform of over 50,000 talented writers and proofreaders who work day and night to create the best content for your needs. For as low as $20, you can hire a professional writer to compose a quality, 100% original 1,000-word blog post. FYI, all content is checked with Copyscape upon completion of the task. 97. 99designs – With a community of over 50,000 talented designers, 99designs is the largest marketplace of professional, experienced and dedicated designers who compete to deliver the best design for your project. On 99designs, you can get anything designed. And we mean – anything! From t-shirts and mugs to logos and WordPress templates. 98. Freelancer – With nearly 23 million users and over 11 million completed projects, freelancer is the largest crowdsourcing platform in the world. You can hire a freelancer in pretty much any industry, be it software engineering, graphic design or digital marketing. 99. UPWork – UPwork is another popular outsourcing site where you can get freelancers to work for you as well earn money from completing projects for someone else. UPwork is used by huge brands like DropBox, Airbnb and Instapage. 100. Fiverr – Fiverr is another web-based marketplace where you can get a wide range of jobs done. From designs and programming to business and digital marketing, Fiverr is a complete marketplace. And yes, you can get most gigs for a fiver. FYI, we wouldn’t recommend buying anything related to SEO from Fiverr (most of the stuff is complete junk). 101. Guru – With over 1.5 million members, Guru remains one of the biggest players in the industry. You can browse through millions of jobs or create a project for free. In the world where time is literally money, you simply can’t afford to waste a second of your life. Especially when it comes to blogging. If you’re keen on becoming a professional blogger, you must remember one thing: every second counts. As you may know already, blogging is extremely time-consuming and requires a lot of dedication. However, day-to-day routine tasks can easily eat up your time, leaving you with no time to focus on things that matter. Hence, we’ve created this section for those who strive to optimise the workload and invest all of that time into other tasks. 102. IFTTT – IFTTT is an online tool that helps you create automation for tasks that you carry out on a day-to-day basis. It allows you to connect your favourite services like Facebook, Twitter and Instagram, then set triggers known as ‘applets’ to help you achieve these tasks. IFTTT is literally your virtual assistant that does all time-consuming tasks. It can do virtually anything, from automated text messages to your partner when you leave work and automatic garage opening to sharing your new blog posts across your social accounts. It’s simply amazing! 103. Trello – Trello is a project management tool that enhances collaboration in the workplace, lets you organise and keep track of your tasks. It allows you to organise your projects into handy cards and boards. Trello keeps you informed about who’s working on what, what has been done and what is left to do. 104. Todoist – Todoist is a task management app with a simple and intuitive interface. It is a to-do list app that works across all devices to make you more efficient and productive. Todoist offers a slew of features, such as subtasks & subprojects, notifications, collaboration, reminders, labels and much more. 105. Slack – Slack is the ultimate team communication tool that brings all of your employees/team members into one single place. It lets you organise and divide messages by tasks, topics and team members while ensuring everyone is on top of their tasks. 106. Desk – Desk is a distraction-free writing and blogging app for Mac that keeps you on track with your writing. Desk offers a handy set of features, including a familiar WYSIWYG editor, the ability to publish & schedule posts on your blog(s), drag-and-drop images and more. 107. Google Calendar – Google calendar is a tool that will help you keep track of your important events as well as scheduling and organising them. You can also share your work calendar with colleagues. 108. Rescue Time – Rescue time is a decent time-management tool that helps you keep the right work-life balance. It promises to help you understand your daily habits so that you can prioritise your tasks and be more productive. When activated, it runs in the background of your PC and gives you detailed reports based on your activity. 109. MindMup – MindMup is an online mind-mapping tool that was designed to enhance your workflow, making you more productive. It enables you to structure your writing, create storyboards, manage projects, collaborate with others and more. 110. FreedCamp – Freedcamp is a project management tool that is made for multiple users, enabling collaboration through the cloud. With this tool, you can assign tasks, schedule events, track time spent on different tasks and set milestones. You can also sync your Google Calendar. 111. Evernote – Evernote is another tool that is designed for taking notes, organising and archiving them. The Evernote app works on popular operating systems and devices like Blackberry, Android and iOS. The service supports online synchronisation and regular backups. 112. Remember The Milk – Remember The Milk lets you get things done by offering a simple yet powerful functionality to create, organise and prioritise tasks. Besides that, it can also be programmed to remind you of them. 114. Simple Stop Watch – This stopwatch is simple as 2+2. Whenever you wish to keep track of your time, simply open up this tool, hit start and it will run until your computer dies. 115. Sane Box – How much time do you spend reading spammy emails? 1 hour, 2 hours? Simply put – emails eat up your time. Sanebox is a mailbox optimisation tool that keeps you away from unwanted emails. Its complex algorithm is capable of distinguishing legit emails from the spammy ones by identifying & following patterns. Although not everyone is born as fluent as The Guardian editor, bloggers still need to make sure their writing is consistent, coherent and error-free. Poorly written content will not keep your visitors on the site. Nevertheless, everyone makes mistakes. Don’t get paranoid with your grammar even if you do make an error. Instead, learn from your mistakes and try to improve your writing on a daily basis. This part is all about helping you to get the best out of your writing. The following tools are designed to spot mistakes, correct grammar, improve your vocabulary usage, check plagiarism and everything else related to helping you become a better writer. 117. Grammarly – Grammarly is by far the best (in our opinion) grammar & plagiarism checker. It corrects over 250 types of mistakes, suggests synonyms and works wherever you write, be it a WordPress page, Facebook post or email. Grammarly will simply become your best friend when it comes to writing posts. 118. Ginger – Ginger is one of the leading spelling and grammar checkers. The tool is capable of correcting advanced spelling mistakes, typos, misused words and more. As well as the app, you can download a handy browser extension for Safari and Chrome. 119. PlagScan – PlagScan is a tool that helps you check the originality and authenticity of articles by running plagiarism scans. Although this tool is subscription-based, you can get a free trial to grasp its power before purchasing. 120. Hemingway App – Hemingway App makes you a better writer by providing suggestions, highlighting adverbs, passive voice and more. The tool offers the ability to publish your work directly to your WordPress blog. 121. CopyScape – CopyScape is probably the best known and the most authoritative plagiarism checker in the industry. The tool allows you to check internal & external duplicate content, set alerts and embed banners to defend your site from content scrapers. SEO (Search Engine Optimisation) is core to a successful blogging career. For those of you who aren’t familiar with SEO yet, it’s a process of enhancing website’s search visibility with the main intent to improve traffic & drive conversions. There is one thing you must know: SEO is very deep. While some regard SEO as no more than just an internal & technical optimisation of the site, it’s far greater than that. In reality, SEO consists of so many factors, including content marketing, link building, analytics, user experience, website performance, on-site & technical optimisation and even social media to some extent. In essence, it’s pretty much everything that impacts your site’s search visibility. This section consists of essential SEO & Analytics tools that will help you thrive in the world of over-competitive blogging. 122. SEMRush – SEMRush is the closest to that perfect all-in-one SEO tool we’ve been dreaming about. It gives you the ability to analyse any website’s traffic, backlinks, paid traffic, ad samples, top ranking keywords, competitors and so much more. We highly recommend the tool to anyone who’s serious about their site’s SEO performance. 123. YoastSEO – YoastSEO is a must-have WordPress SEO plugin. It gives you the ability to optimise your site on a page-by-page basis, gives recommendations & scores, generates sitemaps, gives the ability to edit robots.txt & .htaccess, and so much more. 124. Monster Insights – Monster Insights is a WordPress plugin that connects with your Google Analytics, allowing you to see your blog’s performance directly from your WordPress dashboard. But it’s more than just that. Monster Insights gives you the ability to see best performing posts, real time & historical traffic, user behaviour, file download tracking, e-commerce tracking and referrals. 125. Google Analytics – Google Analytics is a backbone of any website. It’s a free service that enables you to track traffic to your site, traffic sources, user behaviour, acquisition, bounce rate, pageviews, set goals and more. Google Analytics is an absolute must-have for bloggers as it allows you to see how your site is performing, identify its strengths and weaknesses. 126. Google Search Console – Google Search Console (A.K.A Google Webmaster Tools) is more of a technical tool that gives you the ability to spot any indexation & crawl issues, analyse inbound links, see HTML improvements, identify errors, test robots.txt, submit sitemaps, analyse accelerated mobile pages and so on. It’s basically your best communication point with the ‘almighty’ Google. 127. SERP Checker – SERP Checker is an amazing tool that allows you to input any keyword, choose location & device and see how competitive the keyword is and who ranks where. The tool gives a rank to each website, indicating the difficulty of outranking that particular site. It also provides domain & page authority, the number of links, citation flow, trust flow and social shares for each site. We highly recommend this tool for those carrying out keyword & SEO research. 128. Open Site Explorer – Open Site Explorer (OSE) is a backlink analysis tool by Moz. Simply input any website’s URL and the tool will provide you with the list of backlinks, website’s domain & page authority, spam score and linking root domains. We use OSE on a daily basis to sneak behind the link building efforts of our competitors. 129. 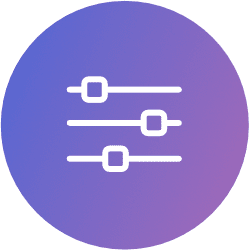 Ahrefs – Ahrefs has recently been our favourite link analysis tool. It’s capable of spotting links almost instantaneously (within a couple of days), sometimes even faster than Google Search Console. That’s weird, right? Apart from that, Ahrefs gives you the ability to analyse any website’s data, carry out keyword & content research and track ranking positions. 130. Similar Web – Similar Web is a fabulous traffic analysis software that enables you to sneak behind the traffic data of pretty much any website. Simply enter any website URL and Similar Web will provide you with total monthly traffic, traffic by countries, traffic sources, referral traffic, similar website and more. 131. Screaming Frog – Screaming Frog is a downloadable technical SEO crawler that is capable of detecting error pages, broken links, duplicate content, duplicate meta tags, redirects and so forth. The tool is used by the world’s biggest brands, including Google, Apple, Amazon and Disney. 132. Panguin Tool – Panguin Tool is a Google Algorithm Update & Penalty checker that detects whether your site has been hit by an algorithm update. All you have to do is connect your Google Analytics with Panguin and you’re ready to go. 133. Quick Sprout – Quick Sprout is a website audit tool that helps to grow your website’s traffic by identifying issues, top performing pages, traffic analysis and more. You’ll need to connect Quick Sprout to your Google Analytics and place a simple script to the head section of your site. 134. CrazyEgg – CrazyEgg is a heat map tool that enables you to visually analyse how users interact with your site, where they click and how much do they scroll down the page. This gives you the ability to tweak your design and put the most important elements to where the attention is, thus increasing conversions. 135. XML Sitemap Generator – Sitemaps allow search engines to crawl and index all of your website’s pages and posts. Although WordPress plugins like Yoast and All-in-one SEO plugin have built-in sitemap generators, there are times where you’ll need to generate one manually. XML sitemap generator makes the job a whole lot easier for you by automating the process. Simply enter your website’s URL, select frequency a hit ‘Start’. The tool will generate an XML file that you’ll just need to upload to your server. 136. Google Tag Assistant – Google Tag Assistant is handy Chrome extension that allows you to troubleshoot installation of your Google tags, including Google Analytics, Google Adsense, Tag Manager and more. 137. Facebook Pixel Helper – Similarly to Google Tag Assistant, Facebook Pixel Helper validates the installation of your Facebook pixel as well as showing whether your Pixel is triggered on a particular page. 138. Google Trends – Google Trends lets you explore & identify trending topics as well as analysing an interest for a specific keyword over a period of time. Simply enter your preferred keyword and see historical search volume. Great tool for finding potential SEO opportunities for your content. 139. BuzzStream – BuzzStream gives you the ability to find influencers, manage relationships and create personalised outreach campaigns. An exceptional tool for finding link building opportunities and promoting content. 140. Google Alerts – Google Alerts lets you monitor your brand/website mentions on the web. Simply enter your preferred keyword and get alerted every time it’s mentioned on the web. Great for gaining links from unlinked brand mentions. 141. Mention – Similarly to Google Alerts, Mention enables you to track your brand’s and competitors’ presence across the web. You can set alerts to trigger every time your brand is mentioned in articles or social media posts. Great for link building purposes. 142. MozLocal Listing Score – Moz Local Listing Score is designed to give you a glance overview of your Local SEO efforts. The tool gives you a score based on local citations and provides recommendations going further. Great tool for businesses with a physical presence. As a blogger, you should be always exploring and looking for things to improve. 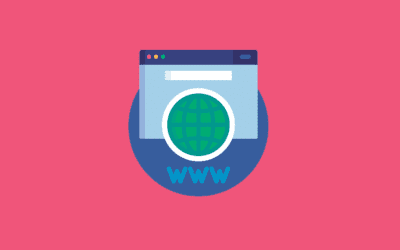 There are millions of websites on the web, and while some of them have a lot of things in common, every site is unique in one form or another. Sometimes you land on the website and notice a cool feature or design element, but isn’t 100% certain whether it is a plugin, theme element or a hard-coded feature. Here is where this list comes in. The following tools are designed to give you the ability to sneak behind the scenes of any website, identify what theme is being used, plugins installed, hosting used and more. 143. WPTD – WPTD (or WP Theme Detector) does exactly what the name indicates. Simply input any website URL and the tool will tell you what theme & plugins the site is using. 144. BuiltWith – Builtwith allows you to see the software and technology used by a particular website, including web server, email providers, SSL certificates, hosting providers, CMS, plugins and more. 145. Wayback Machine – Wayback machine lets you travel in time…:) But in all seriousness, this awesome tool allows you to look back at the design of any website. Simply enter the website URL, choose the date you wish to travel to and the tool will do the magic. 146. Wappalyzer – Similarly to Builtwith, Wappalyzer detects the software used by a particular website. The tool is capable of identifying CMS, analytics software, CDNs, hosting providers, frameworks and more. There is also a handy Chrome and Firefox extension available. 147. Whois – Whois is a free tool that allows you to learn more about the person/company behind any given website, including registered address, contact information, domain registrar, name servers and more. Social media is a huge component of any digital marketing strategy, let alone promoting your blog posts. However, as any other digital medium, social media can easily eat up your time, leaving you with no time to work on new articles. This list is aimed to provide you with a slew of tools that can bring your social media efforts to a whole new level. This includes social scheduling, sharing and using your favourite social networks to uncover new opportunities. 148. Hootsuite – Hootsuite is a tool that helps you manage all your social media accounts from one single dashboard, allowing you to schedule and publish posts across all of your social media accounts. This tool saves you time, measures ROI and protects your brand. They have recently acquired LiftMetrix, a tool that specialises in tracking paid & organic social media ROI (Return On Investment). Btw, we use Hootsuite! 149. Buffer – Buffer is a social media tool designed to help you post your content in a smart way. It allows you to schedule & publish social posts simultaneously across different social accounts at the best possible times. 150. Sprout Social – Sprout Social is the ultimate social media analytics tool that tracks your social activity, monitors keywords & influencers, allows you to schedule & publish posts across all social networks and much more. 151. Monarch – Monarch is a social sharing plugin for WordPress that helps you encourage readers to share your content across social media. With 5 different styles and locations, it makes sharing incredibly straightforward. Did you notice that social floating bar on our blog? That’s Monarch. And the best of all, it’s super light-weight, meaning that it will not slow down your site. 152. Followerwonk – Followerwonk is a Twitter analytics tool by Moz. The app digs into the depths of Twitter and helps you find out who your followers are, find new followers, identify influencers by searching bios and more. 153. CrowdFire – Crowdfire is a social media marketing tool that lets you effectively manage your Twitter & Instagram accounts. The application allows you to track those who unfollow you and welcome new followers. It also gives you the option to automatically send customised messages to your new followers. We use CrowdFire to welcome our new followers on Twitter. Quality images and visuals are core to any website/blog design. It’s a known fact that blog posts that include 2 or more images rank better in Google search. However, adding any image would not do the magic. Your visuals have to be modern and of top-notch quality to be able to grab the eyes of your audience. Here is a collection of the best resources where you can get quality images, icons, gifs and visuals. Some of them are premium while others are completely free and require no attribution. 154. Shutterstock – Shutterstock is one of the largest premium (paid) stock photo sites on the market. With over 100 million royalty-free stock images, videos, icons and illustrations, Shutterstock is our go-to site for quality visuals. Although their pricing structure would not fit everyone, it’s worth checking out. 155. 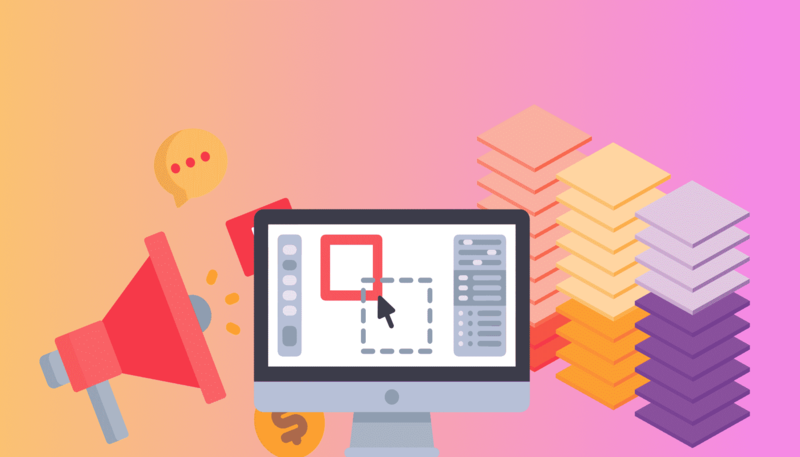 Flaticon – With a database of over 325,000 vector icons, Flaticon is the largest marketplace for quality icons. You can download icons for free and use them for both, personal and commercial use (attribution required). All icons are grouped into handy, themed collections and can be downloaded in PNG, SVG, EPS and PSD format. With a tiny fee of $9.99/month, you get access to premium icons and aren’t required to attribute the author. 156. Giphy – Giphy is a free online resource for downloading and creating GIFs. You can find a cool GIF on pretty much any topic, download it to your computer or use an embed code to use it directly on your site. 157. Pixabay – With a collection of just under 900,000 photos and visuals, Pixabay is a free resource for attribution-free images. All images can be modified and used for both personal and commercial use. 158. Unsplash – Unsplash is our go-to resource for free, high-resolution and attribution-free images. Although its database isn’t as large as of its rivals, they have some exceptional photos that you can use on your blog. All images are categories into handy collections for better navigation. 159. Adobe Stock – Adobe stock has a huge database of premium (paid) stock images, videos, illustrations, vectors and 3D assets. You can also sell your images if you’re a professional designer or photographer. 160. Freepik – Freepik is a collection of free graphics illustrations, such as vectors, PSD, icons and images. It’s run by Graphic Resources, the company behind Flaticon. You can download and use their illustrations for free as long as you credit the author. But, for a little fee of $9.99/month, you can download as many visuals as you want without crediting the author. 161. Pexels – Pexels is another marketplace for high-quality, attribution-free images & videos that you can use on your blog. They add around 100 images every single day and allow you to modify & edit images. 162. PicJumbo – Picjumbo is another free online resource of high-quality stock images. They also have an option for a premium membership that gives access to thematic photo collections and unlimited downloads. As you might have noticed, videos became a big part of our day-to-day life. We watch them everywhere: on-the-go, in bed, at work and even in a bathroom. As well as entertaining us, videos became a part of our learning curve. There is a ton of educational content that can teach us to accomplish various tasks, be it creating a logo with Illustrator, building your first website or general explanatory videos. In fact, Youtube and its creators have made a multi-billion dollar business out of videos. Hence, for those of you looking to produce video content (and you should), we’ve created this list of the best video production & editing tools for bloggers. 163. Final Cut Pro – Final Cut Pro is a high-end video editing software for professional video makers. It is described as a non-linear video editing program that does revolutionary editing using powerful built-in features and a magnetic timeline. Although Final Cut Pro is relatively straightforward even for the newcomers, it’s used for making professional commercials and movies. 164. iMovie – iMovie is another video editing app that makes editing very straightforward. You can simply drag and drop your files, apply transitions, trim, add audio and more. It works on Mac, Ipad and Iphone. Although its functionality is nowhere near as of Final Cut Pro, it’s an amazing software for beginners. 165. Quick Time Player – QuickTime player is a simple video player as well as the editing software. You can play videos, make desktop recordings, audio recordings and carry out other basic operations. It’s available for Mac and Windows, respectively. 166. Magisto – Magisto is an editing app. It turns ordinary pictures into exceptional movies, giving you the ability to easily share your work with your friends and followers. 167. PowToon – Powtoon is an online tool that gives you the resources to create awesome animated videos and presentations with ease. In its basic form – it is a free tool. However, their Business ($197/month) and Pro ($89/month) plans offer more features. Powtoon is used by some of the biggest brands in the world, including Coca-Cola, Ebay and Starbucks. 168. GoAnimate – Goanimate is a decent alternative to Powtoon. It is a drag & drop animated video builder, allowing you to choose from tons of customisable templates and 1000s of premade elements. The website has a 14-day free trial package that allows you to get a feel of it for free. As we’ve mentioned previously, having high-quality visuals on your site can improve the overall user experience and make your blog visually appealing to your visitors. Moreover, people love to consume visual content. Hence, if you can turn your 2,000-word blog post into a stunning infographic, without a doubt, it will get shared, thus expand your reach. The following tools will help you design & edit awesome visuals, including infographics, logos, flyers and posters. 169. Affinity Designer – Affinity Designer is an amazing design software for visuals, vectors and graphics. It’s straightforward yet very powerful. Not as complicated as Adobe’s Illustrator and Photoshop, but does the job extremely well. It is available for both Mac and Windows. In fact, we use Affinity Designer to create all of the visuals for this blog. 170. Canva – Canva is a free, online-based, drag-and-drop tool for designing stunning visuals, infographics, business cards, social covers, templates, invoices, ebooks, flyers and so much more. Canva offers tons of free templates and 1000s of free elements that you can use in your project. 171. Piktochart – Piktochart is another awesome online tool for creating visuals, such as infographics, presentations, flyers and posters. Similarly to Canva, they offer an intuitive drag-and-drop builder for creating stunning visuals. 172. Infogr.am – Infogr.am is a fantastic data visualisation tool that transforms excel data into interactive charts, graphs and maps. You can choose from over 35 types of charts and 500+ types of maps. You can then embed the visual on your blog. 173. Google Data Studio – Google Data Studio is a free data visualisation tool that enables you to turn rough data into beautiful, interactive and responsive reports. It does so by using data from your Google Analytics, Google Adwords, YouTube Analytics or custom spreadsheets. Great for those providing reports to their clients. 174. 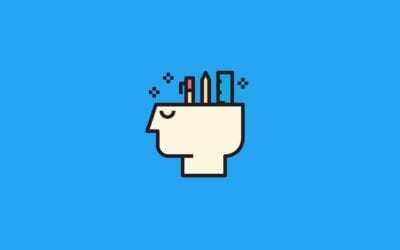 LogoMakr – Logomakr is a free online tool for creating and designing logos. It’s super intuitive to use and has 100s of pre-made shapes and fonts that you can use to create a unique logo design. You can then download the logo to your computer. 175. Google Fonts – Google Fonts is one of the largest directories of fonts available on the internet. You can use any font on your website or download it to your computer for later use. 176. Gimp – The GNU Image Manipulation Program is a cross-platform image editor. The tool is available for several types of operating systems, including Mac OS, Linux and Microsoft Windows. As you may know already, website performance plays an integral part when it comes to the user experience, search engine optimisation, traffic and conversions. If your site is underperforming in some parts, you may find your viewers leaving and never coming back to your site. Did you know that around 40% of visitors will abandon the site if it takes more than 3 seconds to load? Moreover, did you know that website speed is one of more than 200 Google’s ranking factors? So, why would you neglect your site’s performance? So, here are the tools that will help you get the best out of your website speed, thus leaving your visitors with a joyful experience. 177. Pingdom – Pingdom is our favourite tool for checking website speed and keeping your site nice and clean. Simply enter your website URL and the tool will return your performance grade, load time, page size and a number of requests made. If you scroll down the page, you will notice a more thorough breakdown, including performance insights, a waterfall of file requests, size by content type and more. 178. GTMetrix – GTMetrix is another online tool for auditing website performance. Once registered, it gives you the ability to test the speed of your site from 7 different locations and 3 browser types. The report is divided into 3 main categories: PageSpeed, YSlow and Waterfall. 179. Google Speed Insights – Although Google PageSpeed Insights doesn’t return the actual speed of the site, the tool provides you with some insightful recommendations & suggestions as to what you should fix in order to improve your load speed. 180. Google Mobile-Friendly Test – Another tool by Google that checks whether your site is responsive and mobile-friendly. As mobile search has already surpassed desktop search, we strongly recommend ensuring that your site is mobile and tablet friendly. 181. AMP Test – For those of you who aren’t familiar with Accelerated Mobile Pages (AMP), we recommend reading this guide first. But in essence, AMPs are ‘stripped’ versions of your regular mobile pages that load almost instantaneously from Google’s SERPs. They are designed to give the mobile user a lightning-fast user experience. AMP Test tool checks the validity of your AMP pages. 182. Structured Data Testing – This is more of a technical tool that most bloggers never heard of, and will probably never use. Structured Data Testing tool validates the implementation of your site’s markup. Learn more about it here. While WordPress on its own is already a very robust platform, plugins help you achieve uniqueness, offer a broad range of functionalities to your users and protect your site. With the use of plugins, you can achieve pretty much anything with your WordPress site, be it a ‘micro’ social network, high-traffic publication or a software. Overall, there are just under 55,000 free plugins available at your disposal, each used for different purposes. While some of them are of very high quality, others could be badly coded. Nevertheless, regardless of your site’s needs, there are several must-have plugins that you should have installed and activated. 183. Envato Market – With over 32,000 premium themes and over 20,000 premium plugins, Envato Market is the largest marketplace for quality, premium WordPress plugins and themes. If you require a well-coded, professional theme or a highly functional, advanced plugin, Envato Market is the place to go. 184. WPForms – WPForms is a drag & drop WordPress contact form builder that gives you the ability to create beautiful, responsive and powerful contact forms with ease. It comes with numerous features, including file uploader, user registration, spam protection, post submission and more. 185. OptinMonster – OptinMonster is a lead generation plugin that helps you convert visitors into loyal customers. It lets you create beautiful opt-in forms, carry out A/B testing and track performance with their built-in analytics feature. 186. Ninja Forms – Ninja Forms is a decent alternative to WPForms. Just like WPForms, it provides numerous field options, including basic fields, checkboxes and dropdowns. Although the plugin is free, it does offer paid add-ons, such as front-end posting, table editor, PayPal checkout and file uploader. 187. iThemes Security – iThemes Security (also known as Better WP Security) is an impressive security plugin designed to stop automated attacks, malware and hackers. Although the basic version is completely free, it might be worthwhile getting a premium pack that offers two-factor authentication, WordPress security keys, Google reCAPTCHA, import/export feature and so much more. 188. Bloom – Bloom is our favourite email opt-in and lead generation plugin for WordPress. It’s lightweight, super-customisable, powerful and flexible. You can choose from 6 different display types: automatic pop-ups, fly-ins, widget, inline, below content and opt-in to unlock. 189. SumoMe – SumoMe is a collection of tools and features designed to improve your traffic, social media engagement and build your email list. The plugin comes with a lot of built-in features, such as social sharer, opt-in pop-ups, highlight to tweet, heat maps and more. 190. Backup Buddy – Backup Buddy is a paid plugin that provides the ability to carry out site backups, schedule automatic backups and save them to your computer, DropBox, Google Drive, Amazon S3 and more. Can be used for restoring and migrating sites. 191. WordFence – Wordfence is a free WordPress security plugin that helps you protect your website from hacks, malware and brutal attacks. It provides real-time traffic, DNS security and disk space monitoring. 192. Disqus – Disqus is a WordPress plug-in that replaces your generic WordPress comment system with its own. Disqus makes it easier for users to comment on your blog, protects your site from spammers and makes the whole process more interactive. It also notifies you of new comments. 194. W3 Total Cache – W3TC is one of the most popular free caching plugins available for WordPress. It offers page, browser, object and database caching, GZIP compression, CDN integration, CSS & JS minification and more. Though, it’s slightly more challenging to set-up. 195. TinyMCE Advanced – TinyMCE Advanced is an extension of the standard WYSIWYG editor. It gives you the ability to rearrange buttons, add tables, highlight text, insert special characters, add files, anchors and more. 196. Shortcodes Ultimate – Shortcodes Ultimate is a plug-in packed with powerful shortcodes. It comes with 50+ pre-built shortcodes, including buttons, sliders, tabs and boxes. It also gives an option to create and generate your own shortcodes. 197. Visual Composer – Visual Composer is a premium page builder plugin for WordPress. It’s the only front and backend plugin that can be used with any WordPress theme. It comes with over 40 powerful pre-built elements and shortcodes. A theme is a backbone of any website. Choose a cheap, badly coded theme and your site will never make an impact online. So, right from the beginning, you should be doing the research to identify the most suitable WordPress theme for your needs. Nevertheless, here are some of our favourite themes that we trust, recommend and suggest using on your blog. 198. Elegant Themes – Elegant Themes are the guys and gals behind the famous Divi and Extra themes. With over 80 stunning themes, powerful drag & drop page builder, numerous shortcodes, templates and elements, Elegant Themes is the market leader when it comes to WordPress themes. Whatever your need might be, they have a solution for you. Simply put – you’ll never regret buying one of their themes. And, it goes without saying but, their themes are fully responsive. 199. StudioPress – Built on the Genesis Framework, StudioPress is a go-to place for fast, secure, flexible and responsive themes. Their themes are specifically designed to accommodate bloggers, podcasters and affiliate marketers. They currently power over 200,000 blogs and websites, including popular blogs like Smart Passive Income and WPBeginner. Hence, if you’re seriously thinking about becoming a professional blogger – StudioPress is the way to go. 200. Avada by Theme Fusion – With over 300,000 purchases on ThemeForest, Avada is the number 1 selling WordPress theme of all time (at least on ThemeForest). Avada is fully responsive, fast and secure. They provide an impressive page builder (Fusion Builder), numerous shortcodes and customisation options. In fact, we use Avada on our site. So, if you like the look of it, this theme is definitely for you. 201. ThemeIsle – ThemeIsle is a premium provider of WordPress themes & plugins. They are trusted by over 470,000 customers, offer over 30 free & paid themes and constantly develop powerful plugins. FYI, they have some stunning material design themes in their collection. 202. DIYthemes – Although they may look slightly outdated from the first glance, that’s not the reality. Thesis enables you to customise every single element, making your site unique and original.